(1) Factory German HK MP5-40 Complete front end with factory H&K threaded barrel with 14 X.75 pitch and tri-lug mount . Front end from demilled police dept trade in parts kit includes front sight-blade, dust Cap, sight tower, thread protector, and of course a good to very good used barrel. 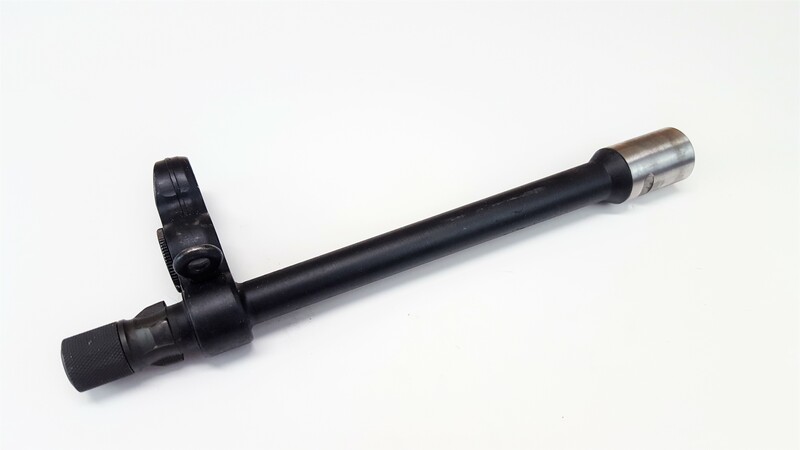 This is perfect for re-barrelling an Heckler and Koch MP5/40 or as the core of a build. Barrel has German H&K proof marks and is renowned for quality. 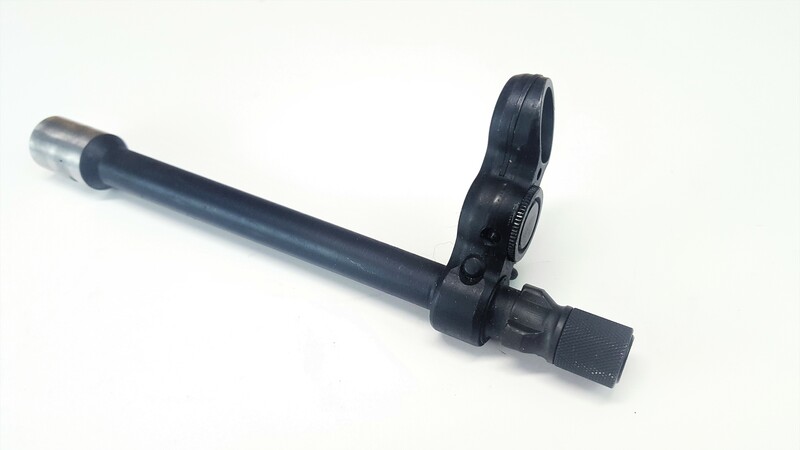 Why settle for a new US clone part or 3rd world contract part when you can get a real German barrel. 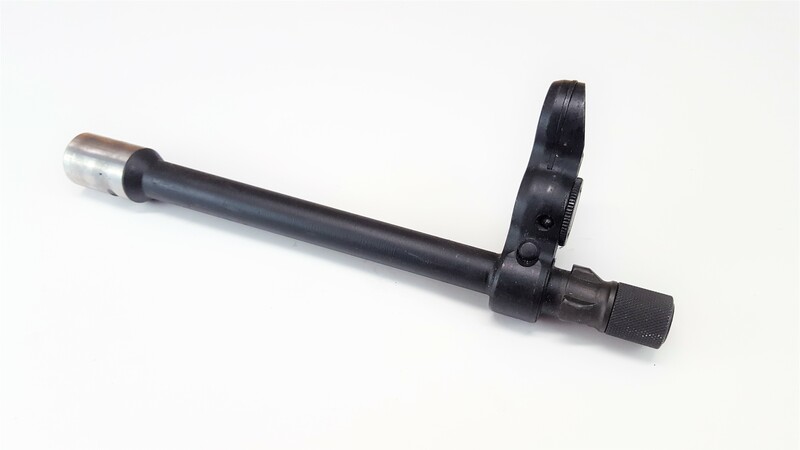 Because this barrel has an integrated tri-lug barrel and threaded muzzle, users can use a variety of options on muzzle devices including flash hiders and suppressors for fast Quick-Attach/Detach mounting or threaded muzzle device. Limited availability! Stock Photo. Because the barrel is under 16", ALL NFA RULES APPLY.